The ginger lamb was just wow. Wow! Pre-planning and much debate is necessary when deciding what to order on an all you can eat menu. Which is tough when you are starving. We considered that ordering 3 mains between the two of us could be justified by sharing hot and sour meat soup. I am glad we shared this. The soup was a soup but it was not all that hot or sour. Also it had prawns in it. What followed was excellent, a flurry of savoury flavours supported by smokey chicken chow mein and special fried rice. 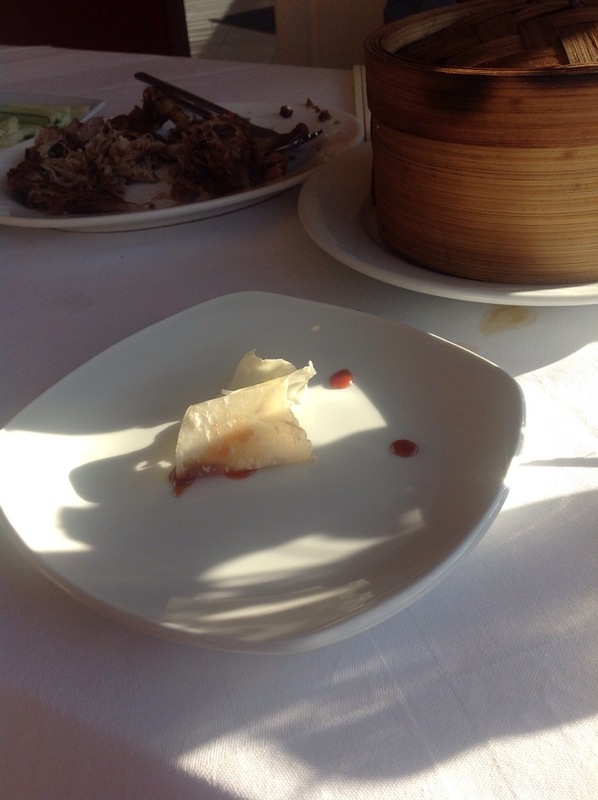 The chilli beef, nice as it was, was the low light, a little two dimensional, those dimensions being deep-friededness and chilli. Obviously the Hong Kong style sweet and sour had at least one more dimension (the first 2 being sweet and sour) and along with the crunch of the deep fry and the addition of actual whole vegetables meant that it reached a harmonic for me. (Excuse the mixed metaphors.) And the ginger lamb was just wow. Wow! The only catch to all this excitement was that the three main dishes to share arrived about ten minutes before my husband had leave for a meeting. Most of the eating had to be accomplished by me. It was six o’clock on a week day. I quickly calculated that I had 4 hours of eating until bedtime. So I sat along amongst the fabric flowers and gold wall paper pondering how I was going to achieve completion of the task and whether the waiters thought we’d had a food war (the table was a bit messy) and split up. I have a confession to make. Other than a smattering of rice on the table cloth (a large smattering) mission was completed. 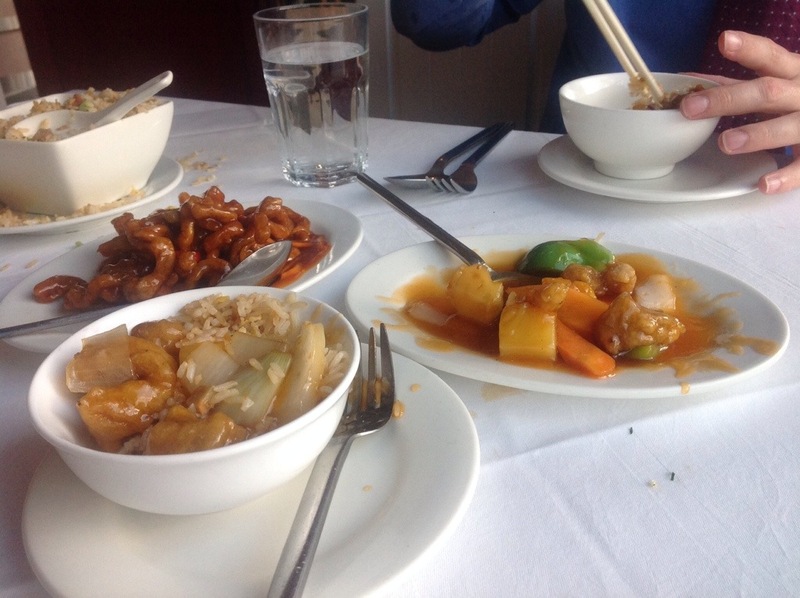 This entry was posted in Blackheath, Restaurant, Sun Ya and tagged Blackheath, Blackheath standard, Chinese, food reviews, sweet and sour by blackheathcoffeeshops. Bookmark the permalink.